Winter is the best season for Tibet birds watching. It is said that March is the high time to see the Nyingchi peach flower; June is the best time to drive to Ngari, and October is for the yellow leaves along the Lhasa river. However, for Tibet birds watching season, winter is absolutely the golden time. When the birds fly in the blue sky with a background of snow-covered mountains, it forms a stunning view in this wonderland. Bird-watching people generally can be divided into two categories, one is for a professional collection of data for research, while the other one aims at enjoying the magic of nature. Moreover, they can see not only the magnificent birds flying, but also have the lucky to see some precious birds like black-necked cranes, bar-headed geese etc. 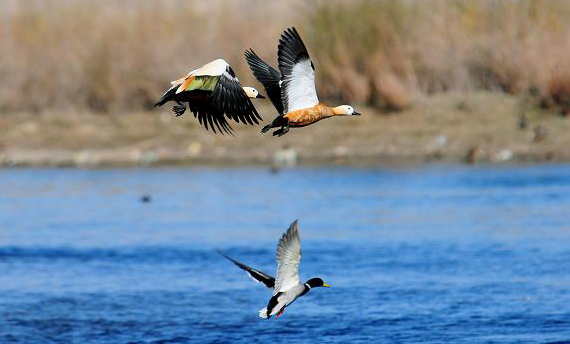 According to the statistics, there are more than 130 kinds of birds in winter of Lhasa city. Tibet winter bird watching has two main lines, Lhasa and Shigatse. 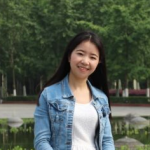 In addition, these two line are rewarded as the paradise of migratory birds. Worth to mention that black-necked crane is the national first-class protected bird. 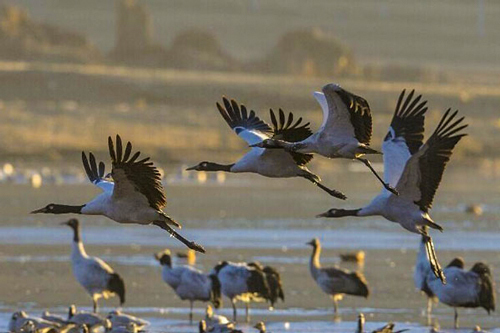 Meanwhile, Tibet is the world’s largest region for the wintering black-necked crane and its reproduction. If you are fond of in Tibet birds watching, you can consider to have a winter Tibet tour. For more Tibet travel tips, please follow our Tibet Travel Blog.